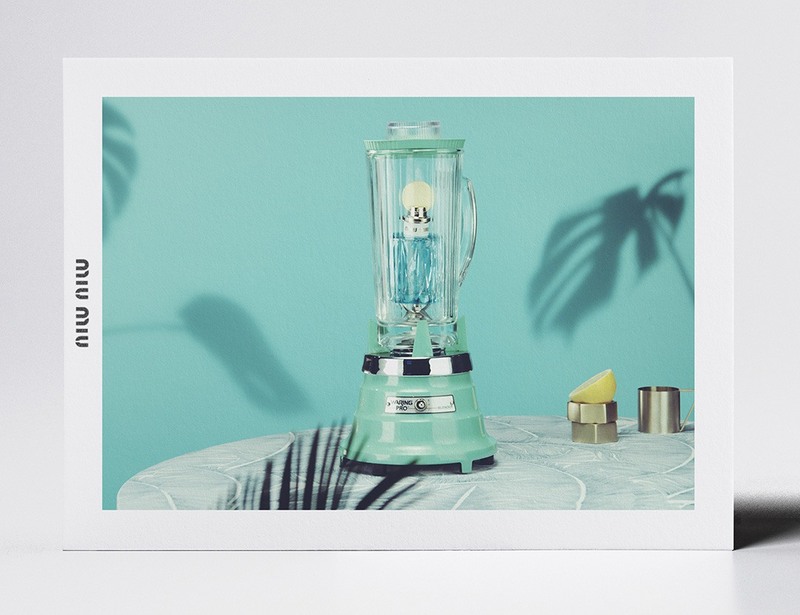 Concept A series of 6 prints inspired by our Films. 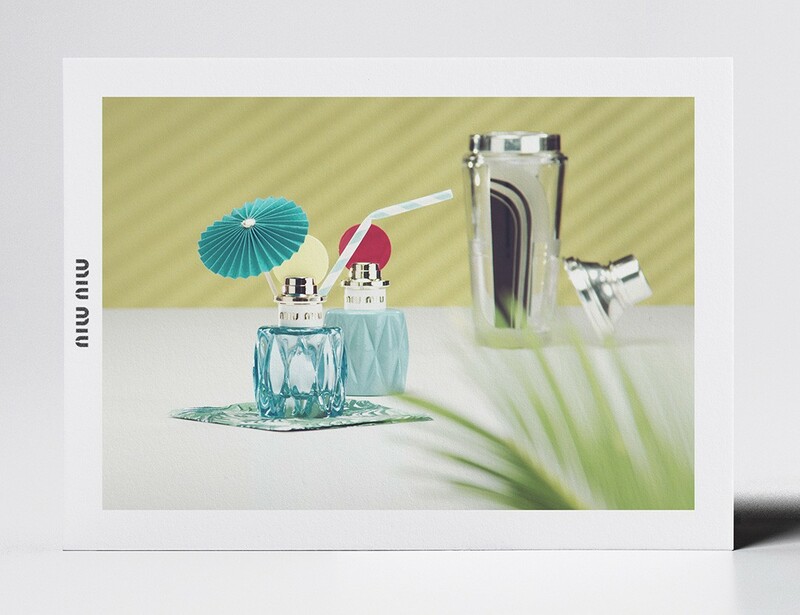 The Miu Miu Fragrance “L’eau Bleue” is staged and photographed in the set design of the movies. 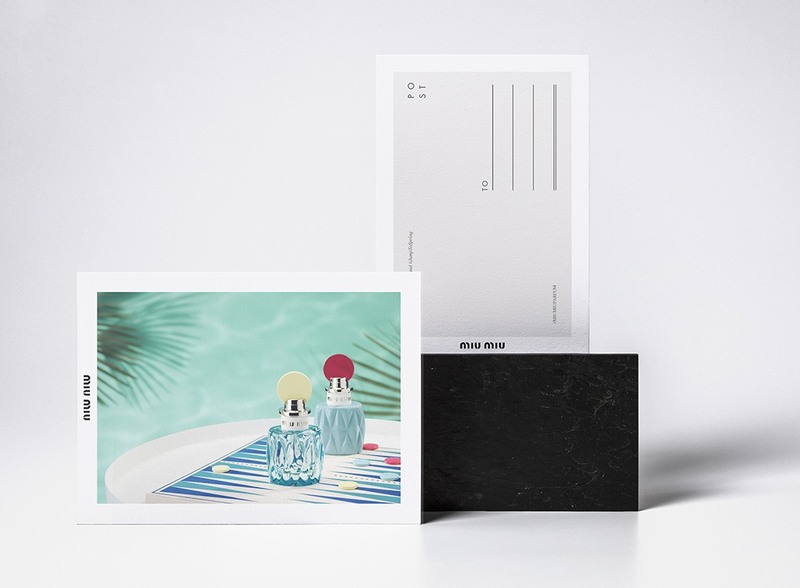 The 6 photographs were printed on postcards and offered in the very special limited edition Box. 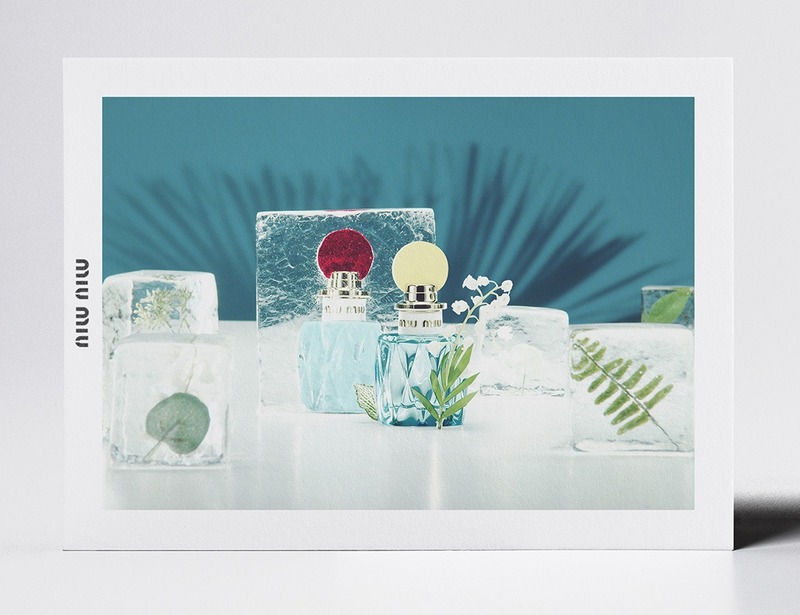 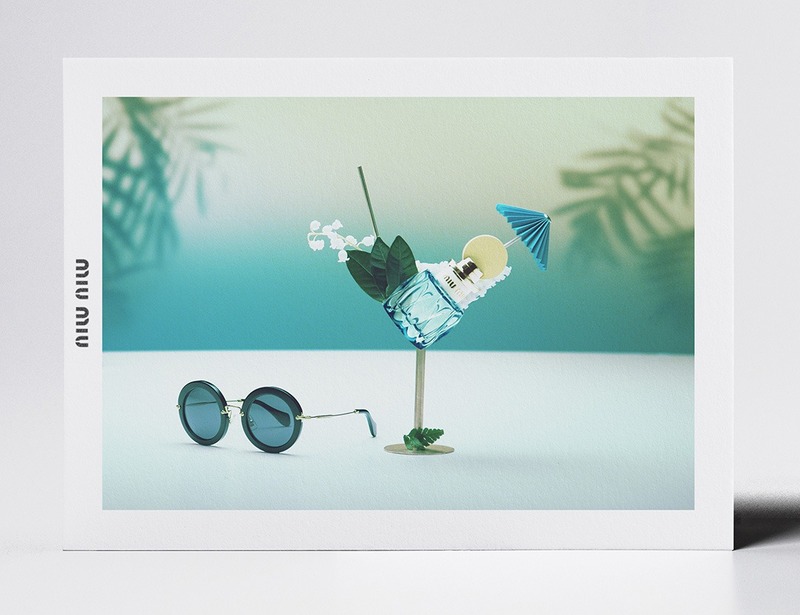 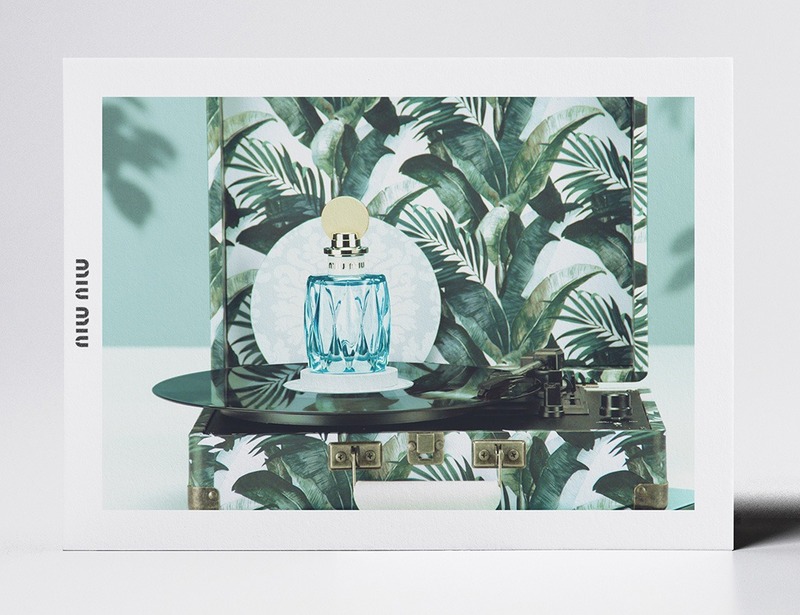 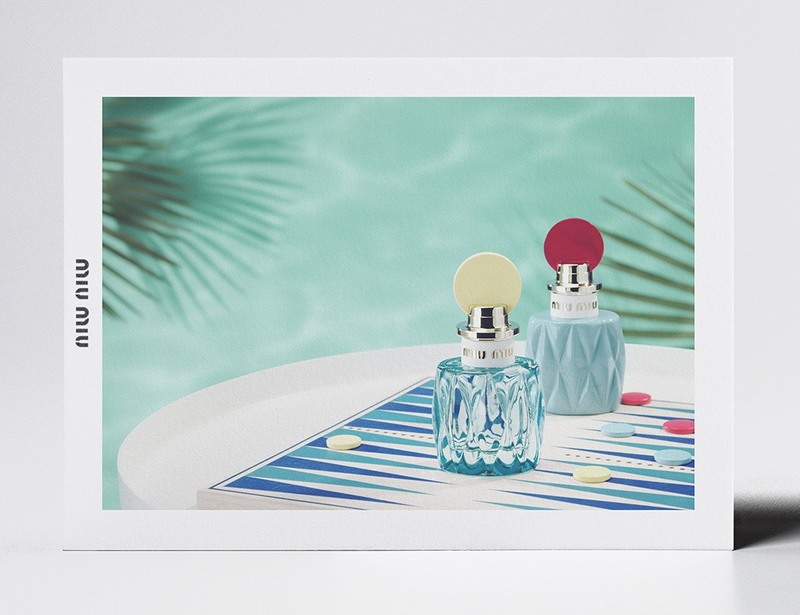 This concept extends the new Miu Miu Fragrance Campaign in Stores.